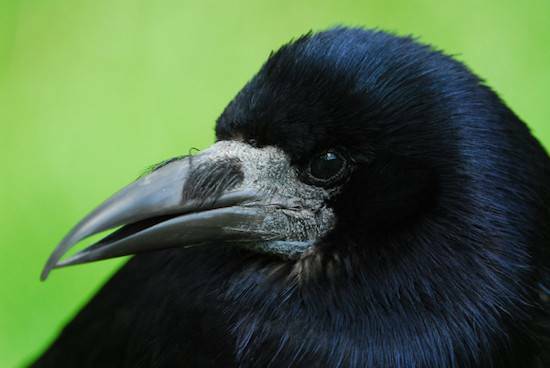 Razzle arrived at Eden more than three years ago when he was blown out of his nest as a very young bird and was at risk from predators. Within a few days we realised he was blind. In so many ways his quality of life is impoverished in comparison to his wild counterparts. He has remained completely dependent on us for his safety and his most basic needs. Even the amount of enrichment we can offer is limited because of the risk of flying into something that can injure him or cause a crash landing. Yet he gives no indication of experiencing life as restricted or impoverished. Quite the contrary, he gives every behavioural indication of being a very happy bird. He baths, flies on the spot, and hangs out the bars of his aviary interacting with Eden's residents. He gathers twigs and utters his extreme displeasure when I clean out his indoor aviary full of the newspaper he has spent the night shredding. 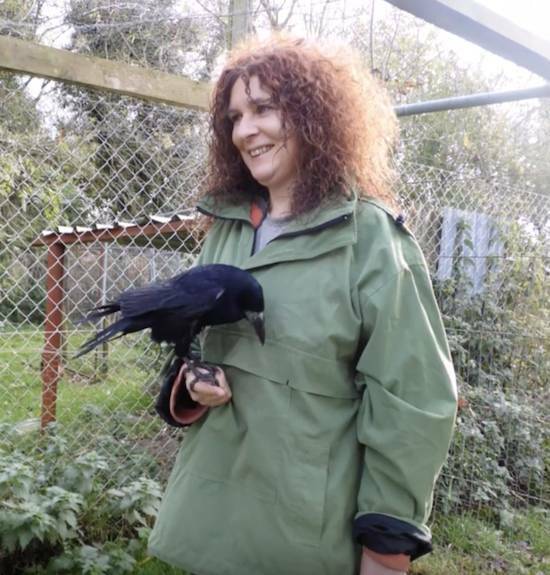 Visitors to Eden who cannot quite embrace the notion of equality and respect for farmed animals, have it within themselves to connect with Razzle as someone of magnificence, obvious sentience, intelligence and equality with humans. Thus Razzle is often the link they need to make the connection with the birds who live outside Razzle's aviary...the chickens, geese, ducks and turkeys who are equally deserving of our respect and even more in need of us being vegan. Razzle chats continually and his language bears a remarkable resemblance to the language he hears around him uttered by geese, chickens and humans. 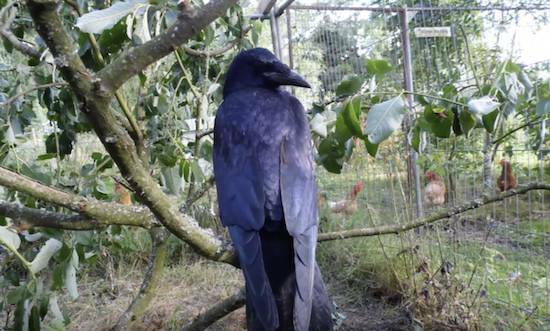 In this short video, I have combined an audio recording of Razzle chatting with Ronnie, a slideshow of Razzle at Eden, and a video recording taken this morning in his aviary in the sanctuary. Razzle fills our lives with the joy and privilege of getting to know someone who would otherwise be wild. I am delighted to share this glimpse into his life and I hope you enjoy Conversations with Razzle.